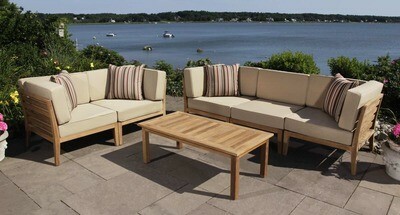 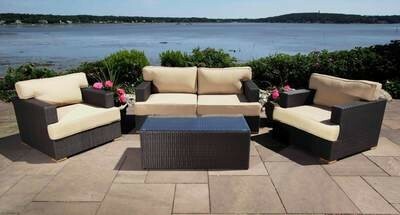 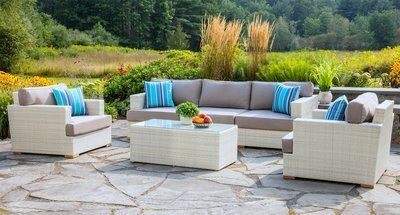 Our outdoor sofa sets blend design and functionality to create stylish and balanced outdoor conversation groups. 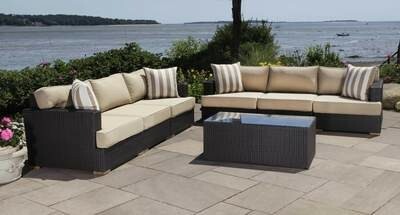 Wide three seater sofas, oversized club chairs, and coffee tables with tempered glass are featured in every set. 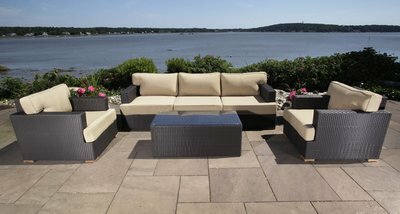 Each outdoor sofa can be lengthened by adding extra armless pieces, and adding an ottoman can turn an end into a chaise.